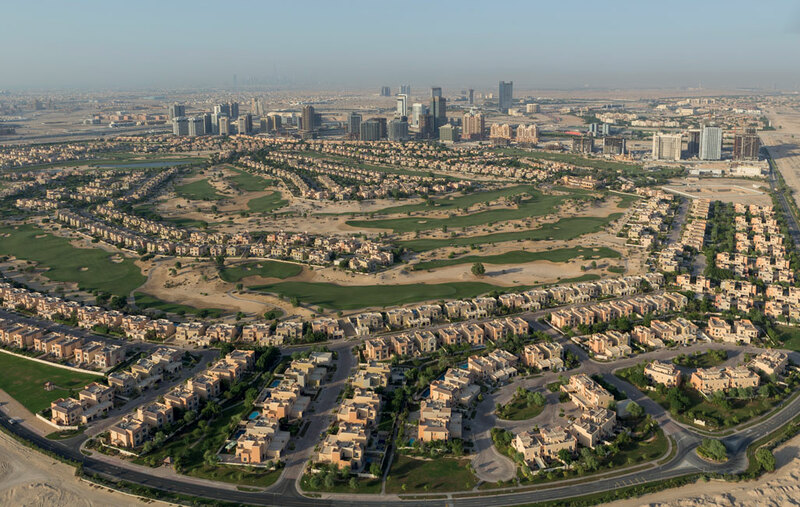 The Victory Heights community is located in Dubai Sports City, in a relaxed, landscape-rich environment aimed at mid- to upper-mid income groups. 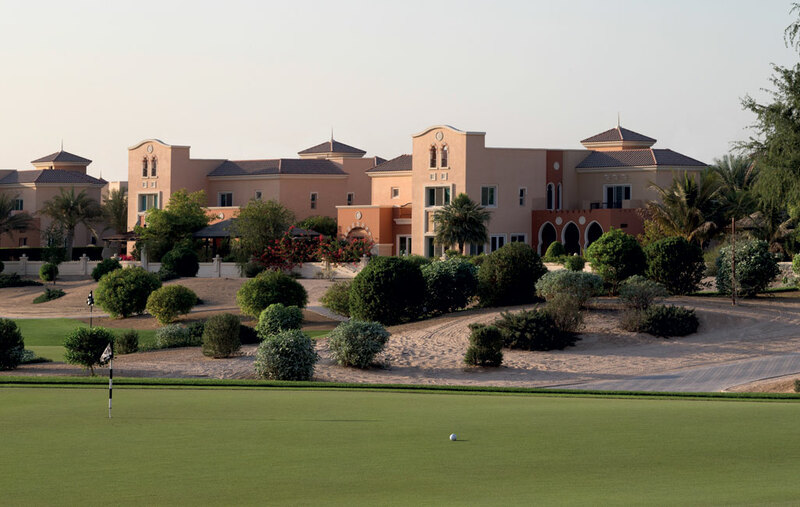 The client’s objective was to develop a residential haven in one of the inland areas of Dubai, creating an oasis in the desert with an international golf course destination as the marketing driver for the project. 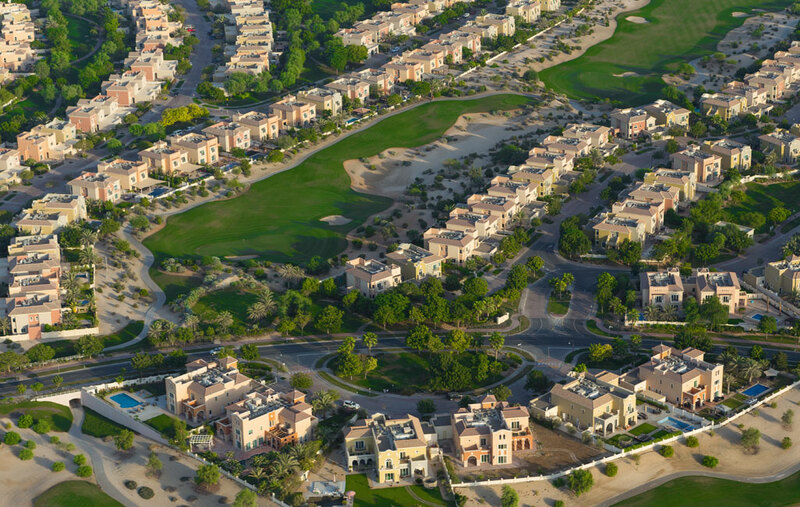 To reinforce the oasis aspiration, almost 50 per cent of the 2,278,000 m² development area has been designated as open space and landscape, incorporating the golf course. The 863,000 m² signature 18-hole golf course, designed by champion South African golfer, Ernie Els, provides the heart of the development, allowing it to be introspective, with the focus of the residential component being views of the greens, fairways and surrounding sand dunes. 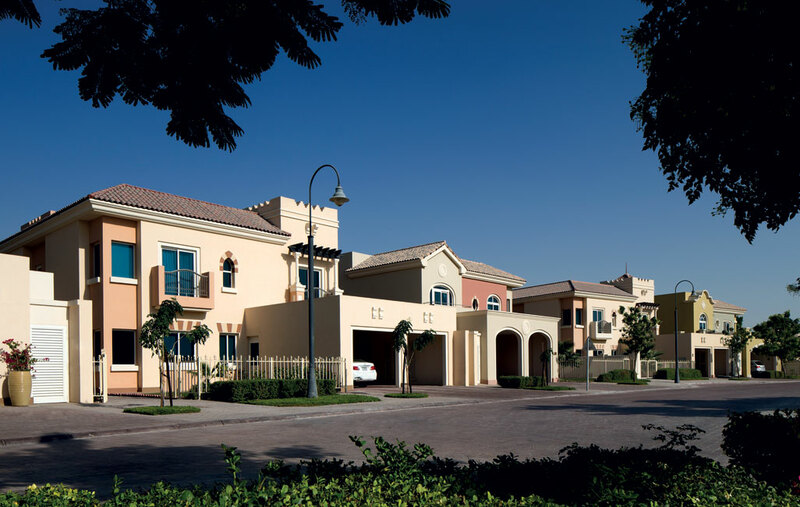 Diar Consult was appointed in 2004 to design and deliver all 961 homes by providing architectural, structural and MEP design services for the individual units, as well as full post-contract administration services during construction. Diar also played a role in urban design and master planning, creating a sense of place within seven territorially defined villages. The concept of sub-dividing the master plan into villages comes from a desire to define neighbourhoods with a clear sense of territory, thereby instilling a sense of belonging and ownership for residents. Each village has its own children’s playgrounds, and shared linear parks between back-to-back villas create pedestrian permeability and encourage communal interaction. 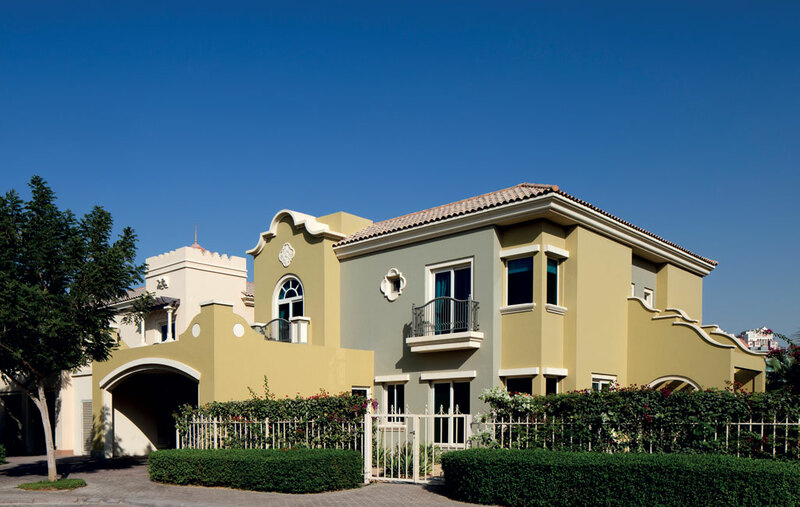 To cater for the needs of Dubai’s cosmopolitan population and present a wide range of choice for investors, the design brief called for a variety of villa sizes to be provided in terraced, semi-detached and detached combinations, and in three thematic styles, namely, Andalusian, European and Mediterranean. Townhouses range from 194 m² to 241 m², and villas from 307 m² to 638 m². The spacious homes were designed to maximize views to the golf course and gardens, while ensuring privacy for each residence within its neighbourhood. Individual villas can be seen in Themed Villas.